The shawl is a solid colored slightly cresent shape with contrasting color details. The pattern will be written out line by line, just for the fun of it! There are a couple more maneuvers used in knitting the shawl (like a centered double decrease), but they are explained thoroughly in the pattern, so if you can do the above, you can knit the shawl. The KAL will start on August 9, 2013. The pattern will be available for sale July 29, 2013 in my Ravelry store for $2.00. 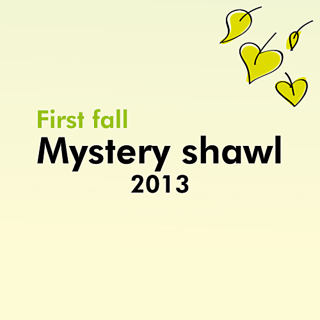 If you purchase the pattern before August 9, you will receive the materials list, information on shawl size. Gauge information will be included. On August 9, 2013 the pattern will be updated to include Part A of the pattern. All purchasers will be notified via email and Ravelry message that the pattern has been updated.